Do you want to fix broken image links in your galleries? You may not see your images after a site migration because the link structure has changed. In this article, we will share how to fix broken image links after a WordPress migration. By default, there is no feature in WordPress to fix broken image links or other issues after a migration. In some cases, your image files didn’t get transferred over at all. In that case, you should check out our guide on how to import external images in WordPress. However, for this tutorial, we will explain how to fix broken images when you know your images files have been transferred over. Since the issue is very common, we added this feature to Envira Gallery. Now, you can fix the broken image issue in just a few clicks. Ready to fix your broken images? Let’s go! You can do this by going to Plugins » Add New and search for ‘Envira’. 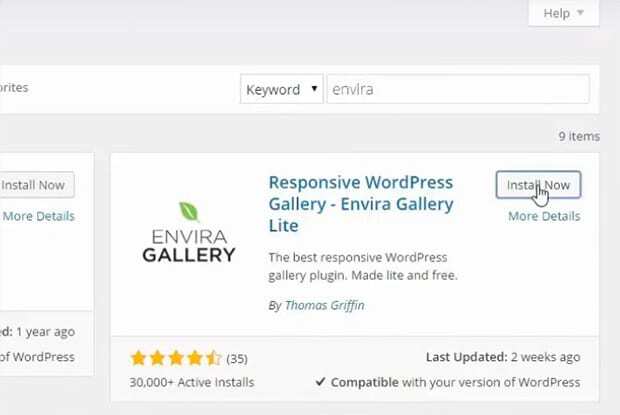 It will show you the option to install the Enivra Gallery plugin. After activation, you can go to Envira Gallery » Settings and scroll down to find the green color Fix button. Simply click on this button to Fix broken image links. It works magically to solve your broken image issues after a WordPress migration. Don’t forget to save the settings, so all of your broken image URLs will be fixed. 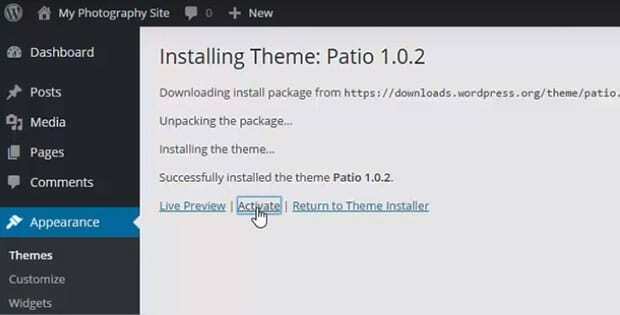 We also recommended that next time you migrate your site, use a WordPress migration plugin or manual scripts. That way, you won’t have the broken image issue in the future. We hope this article has helped you to learn how to fix broken image links after a WordPress migration. You may also want to check out our guide on how to customize permalinks in WordPress or how to create a photography website in WordPress. If you would like to migrate your website to WordPress then this article might be perfect for you. Sometimes image link broken for the migration time. Here you will get in details guideline How to Fix Broken Image Links After a WordPress. Thanks a lot for sharing this content with us. Glad you found it helpful ? Don’t forget to follow us on Twitter for more WordPress tips and tutorials. I am using the latest version o WP and the lastest version of Envira Lite. I just moved my site and all the pictures are gone from the gallery. I must be missing something because I cannot find the settings under Envira Gallery->Settings. I have checked the config area of some galleries, but to no avail. Am I just not seeing something? I do not have it either. I’m wondering if that feature is only available on the paid version. Make a note that Mary Fernandez sent you, so that we can easily identify you. Then, one of our developers will give you a hand. Thank you so much for using Envira Gallery! Hey Carla! It sounds like you may be having a compatibility issue with another plugin. I would try disabling all plugins except for Envira and see if that fixes the problem (then systematically turn them back on to see which one is causing the issue). If that doesn’t resolve the issue, then you’ll want to contact X theme. Since it’s bundled, it could be a theme issue. I am having the same issue as John Wright – “Envira Gallery->Settings” does not show up. Has there been any resolution to this issue? Would you contact our support team so we can better assist you? Hi – I built my site on a staging version with envira pro and then when it was moved to the public url, the images disappeared from the galleries. The Fix button does not solve this. The galleries are still listed in the Envira tab and they have shortcode numbers and the pictures are there in the media library – just not in the galleries. Hey Sherri, that’s unfortunate. Please write to our support team and your issue will be solved. This post seems a bit misleading. It gives instructions that do not exist unless you go pro (which you only find out about if you read through the comments). Was this function available for free before? If so, why have you taken it out? Is it available on an older free version? If so, where can we download an older free version? Functionality not available any more it looks like.. Even pro features does not have it listed. Fixed my issue with regenerate thumbnails plugin..